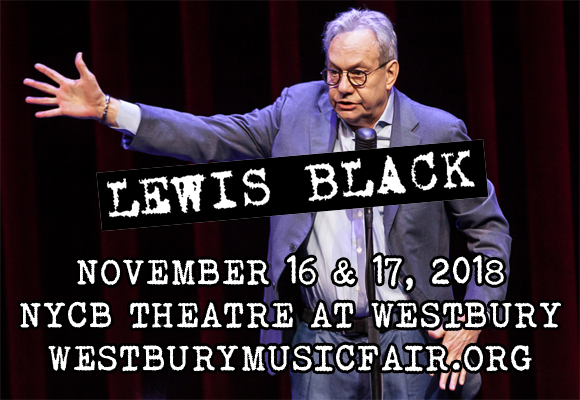 Grammy Award-winning comedian and television star Lewis Black brings his hilarious, righteous fury to NYCB Theatre at Westbury on Friday 16th November 2018! The king of cathartic rants tackles the trickiest of subjects in this laugh-a-minute no-holds-barred show, which he performs as part of his The Jokes On Us Tour! Don't miss your chance to see this incredible wit live!